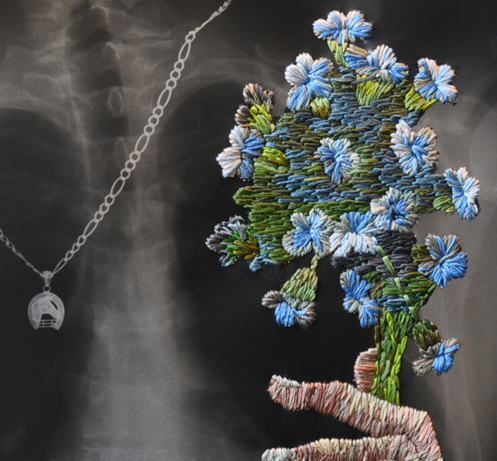 Redefinition motivates me to create my embroidered x-rays. The stark clash of two such divergent materials, cloth and plastic, is the simple catalyst. One tactile and labor intensive, the other technical, and quickly a finished product. There’s a wide historical context, one ancient, decorative, and artisanal, the other contemporary and devoid of aesthetic intention. By simply placing one of these materials on top of the other the understood purpose of each is redefined. 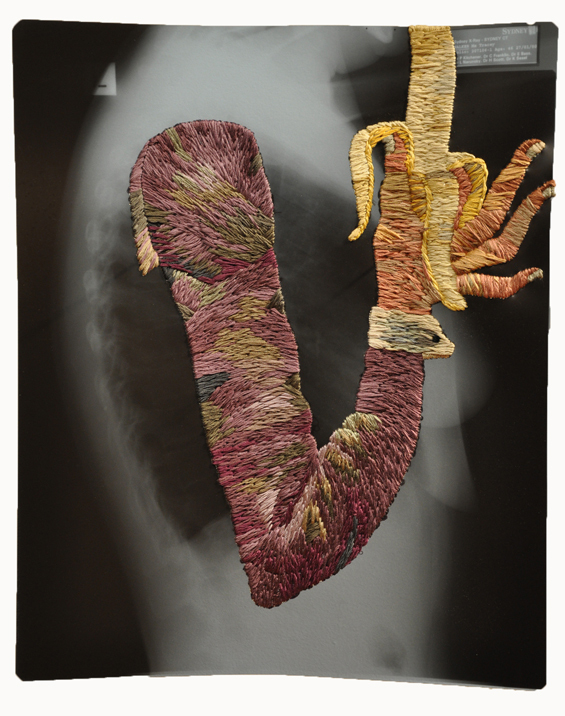 For me, stitching has a nurturing aspect and acts as care giving or healing to the injured, a socially feminine sort of action, while the x-ray itself can be considered masculine and unemotional. Finally, my own recognition of what is beautiful [these separately became appealing to me at about the same time]. As an artist who takes on tedious, labor-intensive projects, I am also reacting to the ever-increasing presence of photography in contemporary art – by introducing the process of labor over the quick, slickness of film. “Me, She and the Others” documents women born in Iran after the Islamic Revolution. I have photographed these women in three distinct contexts: (from left to right) at work, at home, and out in society. Despite being obliged to adjust their appearance in certain environments, women remain an influential presence in Iran’s culture. Gohar Dashti received her M.A. in Photography from the Fine Art University of Tehran in 2005. After studying photography in Iran, she has spent the last 12 years making the large scale of her practice concerning in social issues with particular references to history and culture through a convergence of interest in anthropology and sociology. She tries with her own means to express the world around her. Her starting point is always her surrounding, her memory, but with her very personal perception of things. She tries to trace her relationship to society and the world in it’s most sensitive way. Her practice continuously develops from life events and connection between the personal and the universal, the political and the fantasised. 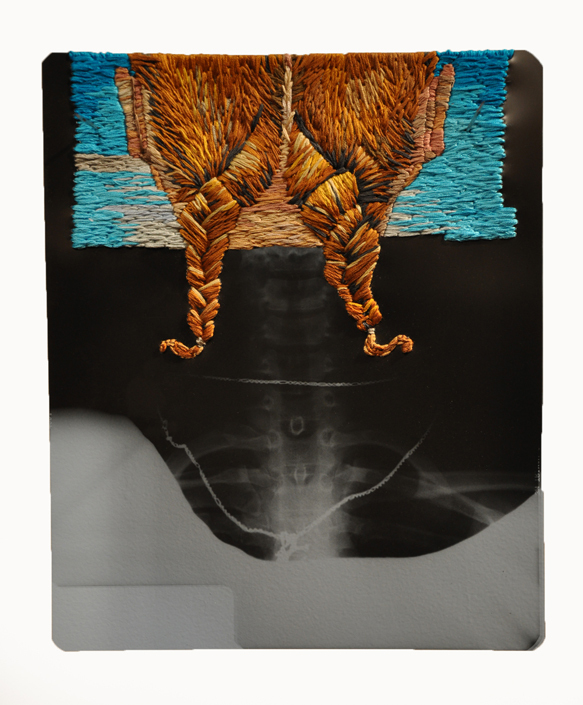 She has participated in several art residencies and scholarships such as MacDowell Colony, Peterborough, NH, USA (2017), DAAD award, UdK Berlin, DE (2009-2011); Visiting Arts (1Mile2 Project), Bradford/London, UK (2009) and International Arts & Artists (Art Bridge), Washington DC, USA (2008). She has held various exhibitions around the world, being shown in many museums, festivals and biennales. Her works are in many collections including Victoria and Albert Museum, London (UK), Mori Art Museum, Tokyo (JP), Museum of Fine Arts (MFA), Boston (USA), Nelson-Atkins Museum of Art, Kansas City (USA), National Gallery of Art, Washington D.C. (USA), Museum of Contemporary Photography (MoCP), Chicago (USA) and Kadist Art Foundation, Paris (FR).